In some traditional Japanese ceremonies, you can still hear the Japanese zither, koto, being played. The unique, graceful way the koto-player plucks the strings is truly moving, and in a way, one will undoubtedly feel envious of the great skill it takes to play the instrument. So I ask you: would you like to try your hand at this ancient craft? In Kyoto, you can find a course taught completely in English, conveniently located close to Nijo Castle, held in a century-old traditional Kyoto-style machiya townhouse. You start by learning the basics of playing koto, but don’t worry – the teacher is both friendly and patient. In the end, you also get to perform together with the teacher. 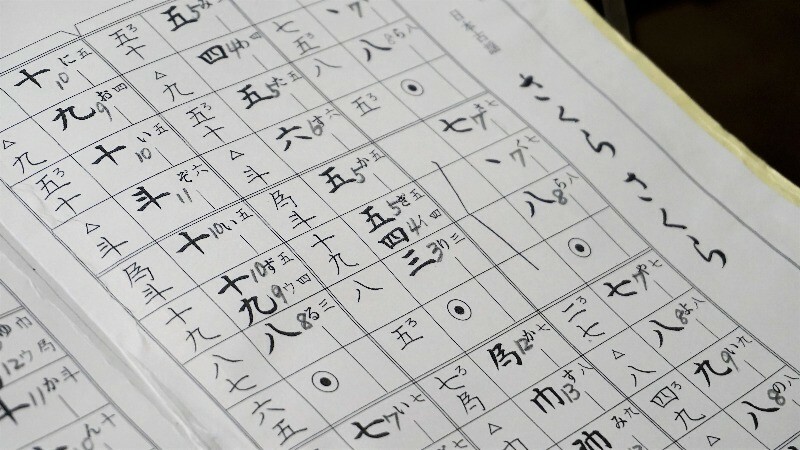 This short 80-minute course is bound to make you even more enthralled with Japanese culture. If you have already tasted the world-famous Kyoto-cuisine and seen the temples this ancient city has to offer, consider learning how to play Japanese zither, koto, as the next step on your cultural journey to Kyoto. We absolutely have to recommend this experience – I’m sure it will make your trip to Kyoto unforgettable! The Japanese zither, koto, is said to resemble one of Kyoto’s most famous sweets, yatsuhashi. It has 13 strings. The player wears three nail clips on his or her right hand and plucks the strings to produce a sound. Pressing or depressing the strings with your left-hand raises or lowers the pitch. Advanced players can simultaneously play with both their hands. The lessons are taught by professional instructors. Even if you don't know how to read music, the teachers will offer friendly explanations to reassure you. With enough practice time, you can experience the elegant charm of the Japanese zither. Under the teacher's careful guidance, I have finally completed the current practice tune "Sakura" (Cherry Blossoms). When I completed playing this song, I was deeply moved by the way this Japanese music class is run! The elegance of the Japanese zither is indeed charming! In the end, you can hear your teacher play a more advanced version of "Sakura" live. Looking at the teacher's hand constantly plucking the strings, swaying the tune and listening to the saturating sounds of the zither, it was just like a small concert. As the audience, we were completely intoxicated by the music. On the far right-hand side of the zither, there are some numbers, which represent the string number. This zither has 13 strings. 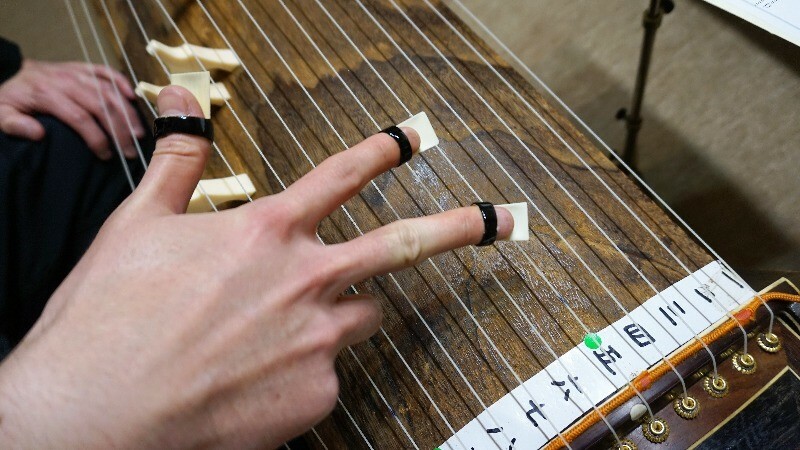 The teacher has kindly put the numbers on the zither to make it easy to understand and enable a relaxing learning experience for the students in this elementary course. If you are someone who has experience with the zither, you can ask the teacher for an advanced version of the music score to practice. This was my first contact with a Japanese zither and I felt really excited! Under the patient guidance of the teacher, I finally finished playing the practice tune and felt deeply moved. Even though the location is not near a train station, this is a course that enables you to get close to the Japanese zither and I highly recommend that everyone try it once! In the end, you can listen to a professional koto-performance by the teacher the teacher's professional performance and listen to her knowledgeable little stories about Kyoto and just enjoy the experience! Here you can listen to a professional performance, learn to play koto one-on-one, and get to know about the delightful art that is called “music.” The course is taught entirely in English! Understanding the teacher is easy and it’s delightful to be able to perform a song on your own! Soushunan is a 20-minute walk from JR Nijo Station or a 5-minute taxi ride away. You can also take Kyoto City Bus to Senbon Demizu bus stop from where Soushunan is a 1-minute walk. ￥6000 (tax included) for an 80-minute lesson. The teacher patiently teaches you in English how to play Japanese zither. You won’t forget this unique koto-experience!